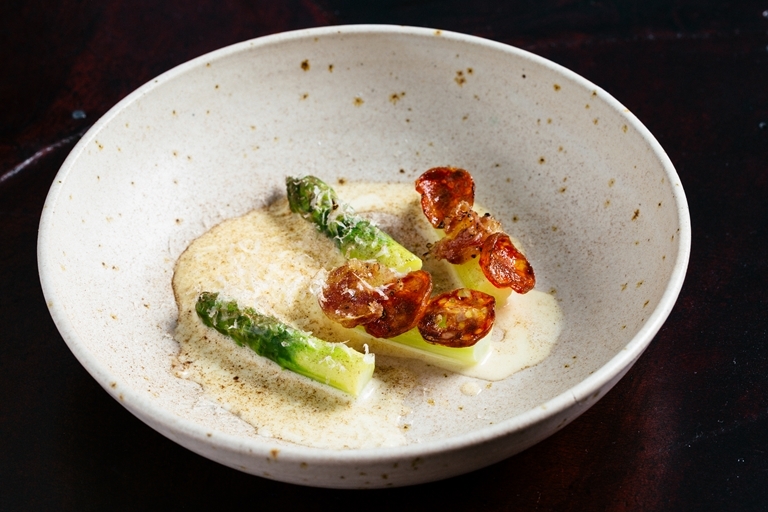 This stunning asparagus starter from Sat Bains pairs plump, juicy spears with a fragrant, grassy hay hollandaise, Parmesan and house-made charcuterie that add a beautiful richness to the asparagus. The hollandaise is cooked sous vide before adding to a siphon for a light, frothy mouthfeel. 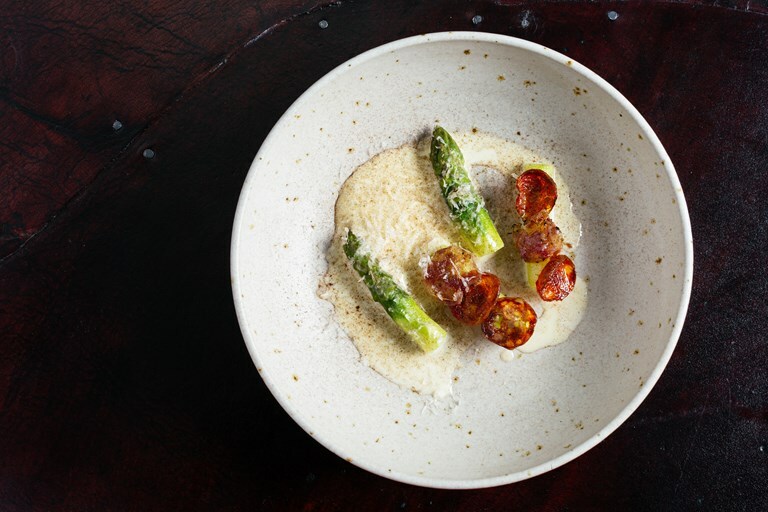 To find out more about this incredible dish, read our Mind to Menu feature.